Today at the Web 2.0 Summit in San Francisco, FCC head Julius Genachowski sat down with New York Magazin’s John Heilemann. One question Heilemann asked was Genachowski’s thoughts about the joint Google/Verizon net neutrality policy that they put out there in August. 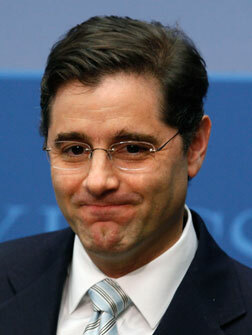 “I would have preferred if they didn’t do exactly what they did when they did,” Genachowski said. “It slowed down some processes that were leading to a resolution,” he said. That said, Genachowski did say that to the degree that two large entities formerly on opposite sides of the big issues are now coming together seems to be a good thing. He just doesn’t seem to like the exact way they did it. Some will claim this announcement moves the discussion forward. That’s one of its many problems. It is time to move a decision forward—a decision to reassert FCC authority over broadband telecommunications, to guarantee an open Internet now and forever, and to put the interests of consumers in front of the interests of giant corporations. In other words, the FCC wants actions, not more words. And the Google/Verizon proposal led to more words. Earlier this week, Google CEO Eric Schmidt spoke about this topic a bit also. There’s been a criticism that Google has turned its back on net neutrality because they’re not asking for wireless regulation. But Schmidt says that it’s more of getting what needs to be done now done (wired) and taking a wait-and-see approach with the more competitive wireless space. We think this gray area is still pretty frightening. And it’s good the the FCC is wary of doing anything just because two huge companies put it forward.